When our family arrived at Bethesda in 2000, Rose Chapel didn’t exist. 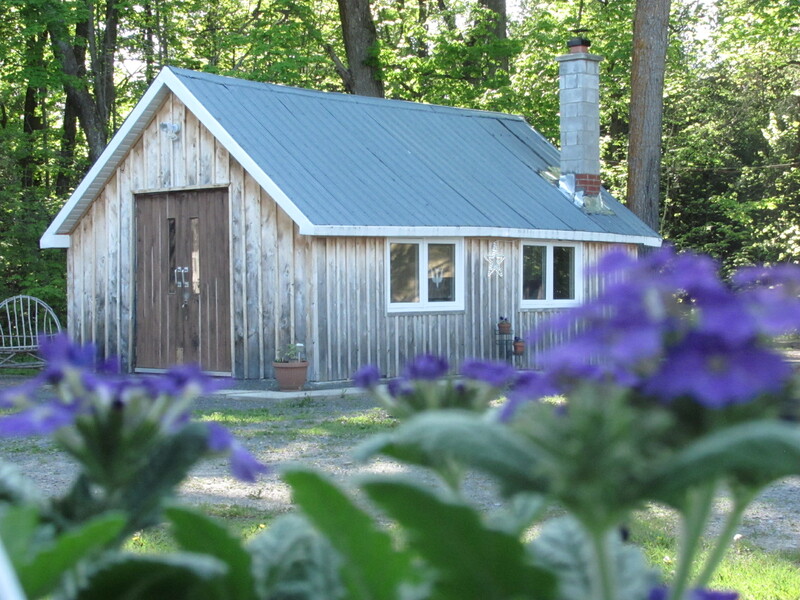 This little building was a place for crafts and a potting shed. At the door was a concrete slab entitled Joseph’s workshop 1994 And the dream to create a set apart place for prayer began. I think I must add something in here about God’s timing and provision. In 2000 I envisioned a Chapel, in 2011 it was completed. When it was completed Ray and I left Bethesda. Over the eleven years we saw St. Paul’s rebuilt, St. John the Divine re-situated, Yoshiba House closed and the time, talents and treasures of many called on God’s timing to help create this space. I attended an event at St. John the Divine on Slack road. They were closing their building and moving to Barrhaven subsequently sharing a ministry with the Lutheran Church. But that’s another story. I spoke to one of the wardens and asked about the ‘old’ pews. These ‘old’ pews, at one time sat at the back of the church in a little chapel area. They had moved around over the years and at the time were in a storage shed out back. I told Alice K. that I had a good home for them but no money to buy them. When she heard about plans for a Chapel at Bethesda she was very happy to give them to us. These little white and black pews Started their journey in St. John’s Merivale, a very small lovely little church right next door to where Merivale United still stands. This is the Church where I was confirmed. St. Paul’s Anglican Church Kanata, my home church was also in move mode. Tearing down our little church and re-building on the same site. The windows in Rose Chapel came from St. Paul’s. The large window was in our Link and the smaller windows from the Church itself. Look around at the brass wall lamps – they too came from St. Paul’s. As you continue to look around you will see a stained glass insert. This stained glass was created by Eleanor B, the Bouwman’s were the first family to live as Host family here at Bethesda. It seemed the perfect place to hang this piece – the descending dove image of the Holy Spirit. In the house there are two more of Eleanor’s pieces. They sit over the door into the living room. One mirror mounted beside the door was a gift from Jennifer Bulman. A gift passed down to her from her Mother’s church. Look up and you see long strips of blue wood. Ray and I have an old farm house in Crow Lake Village. Those pieces of tongue and groove Douglas fir came from us. The stripping, sanding, planeing, installing etc …. Well that was a gift of time and talent and effort by a group of men from St. Paul’s. The little wooden cross has done the most travelling –rather than telling you its story, pick it up and read the inscription on its base. This was a gift from Bobbie A. when they closed Yoshiba House in Almonte. She led a prayer retreat one Saturday and left the cross behind for Bethesda. It sat on the mantle in the main room for many years until settling here. The exterior doors came from All Saints Lutheran Church on Pinecrest Road. A fitting welcome from the Church community who founded Bethesda. Where did the name Rose Chapel come from? Well it was part of my vision of a soft pink light welcoming in guests through the two windows that face the driveway. Painting was done by Keith & Heather G. –Keith found the perfect red and a white with a small touch of pink to enable this vision. And guess what the colour of the red is – yep –Rapture Red! With the red wall and soft white walls a candle sitting in the middle of the chapel does indeed warm and welcome you with a soft rose colour. Above the door you will see a lovely gift from Still Point House of Prayer. (My favourite place to go for a SILENT retreat.) I mentioned that I loved that picture of Jesus and his Disciples to Sister Betty and she told me that it was on its way to storage. I offered to give it a good home too, and was pleased to get a phone call to drive out and pick it up. Now that’s the ‘gifts’ from the inside. On the exterior Scott K. (Scott Kelly, Log Farm Building Inc.) brought his portable saw mill and the cedar was cut down and milled on site . The cedar will now weather naturally and match the big barn and other outbuildings. Exterior gifts of patio stones, crushed stone and gravel and the love seat helped to complete the site. And that’s the physical build of our little Rose Chapel. What hasn’t been mentioned are the hours of restoration, recreation and recycling. Without the men from St. Paul’s this Chapel wouldn’t have been built. They scraped the ceiling boards, shored up the walls, plastered, water proofed, put up the siding and so much more that I can only just give thanks to God for their time. Rose Chapel waits to create its own memories for each person that visits. It will never be locked and sits waiting for you to arrive and humbly leave your prayers at Jesus’ feet. The patio stones – from Michael T.
The wooden love seat – made by Larry L.